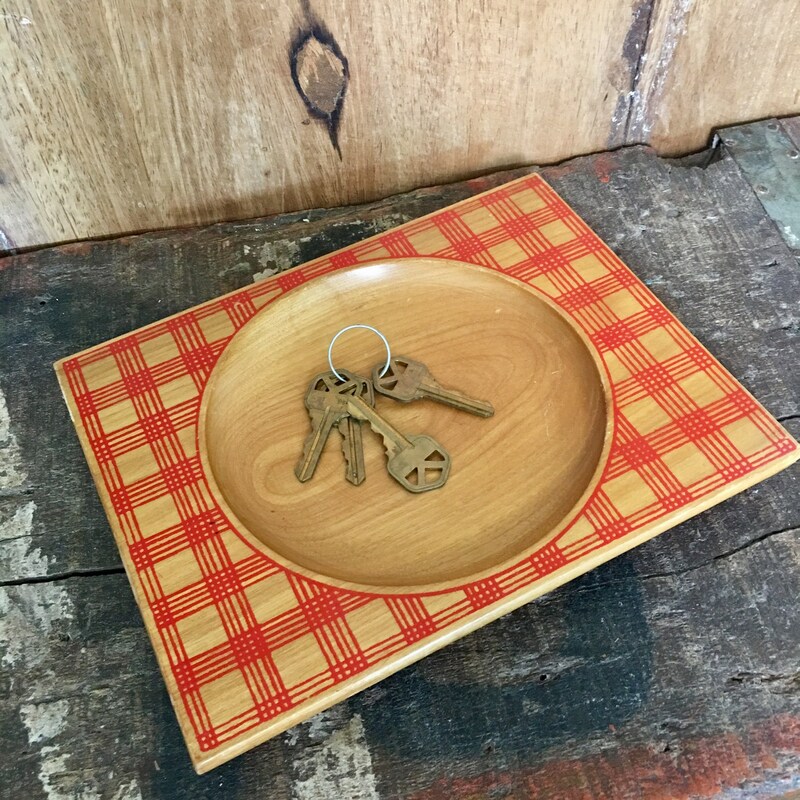 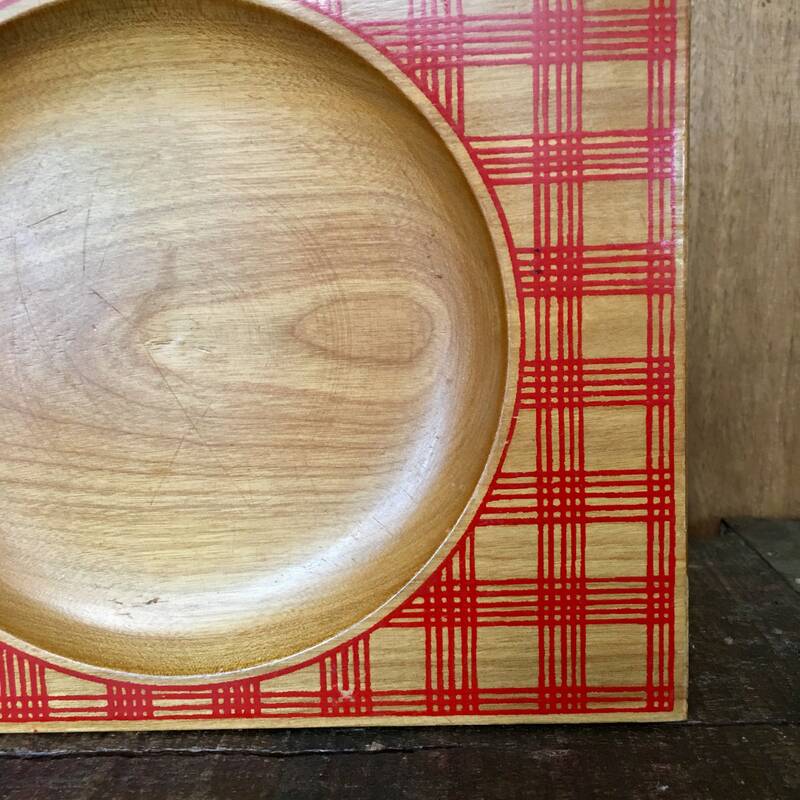 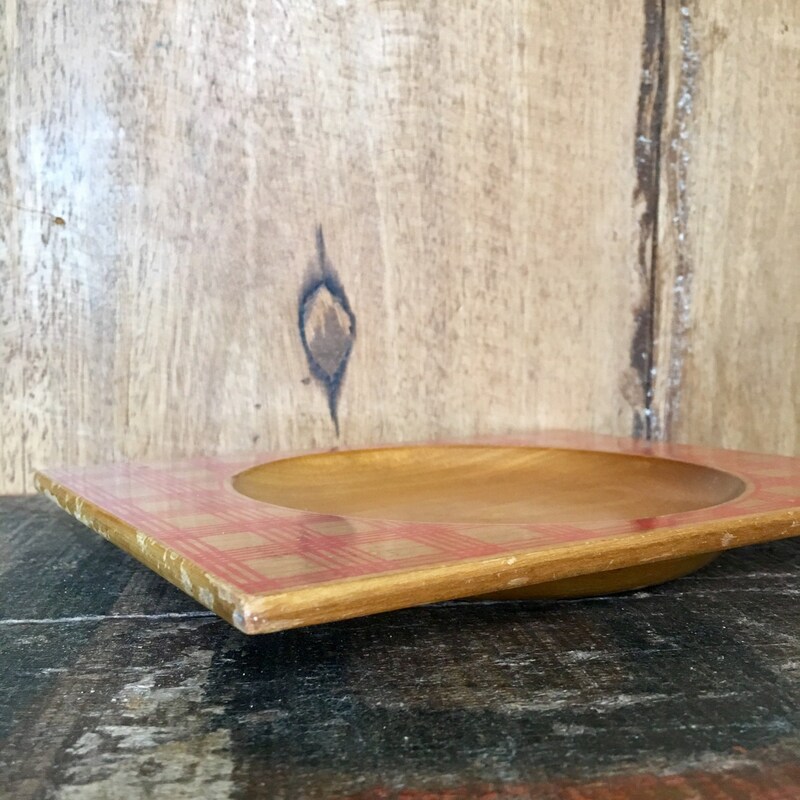 Small vintage wooden tray with a red plaid design and glossy finish. 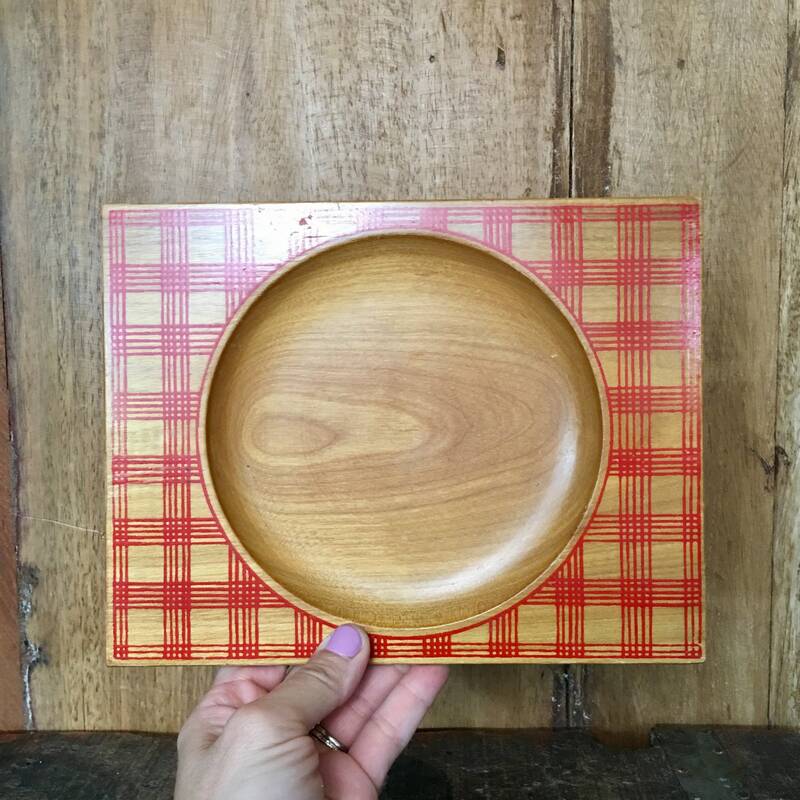 Some very minimal age showing. 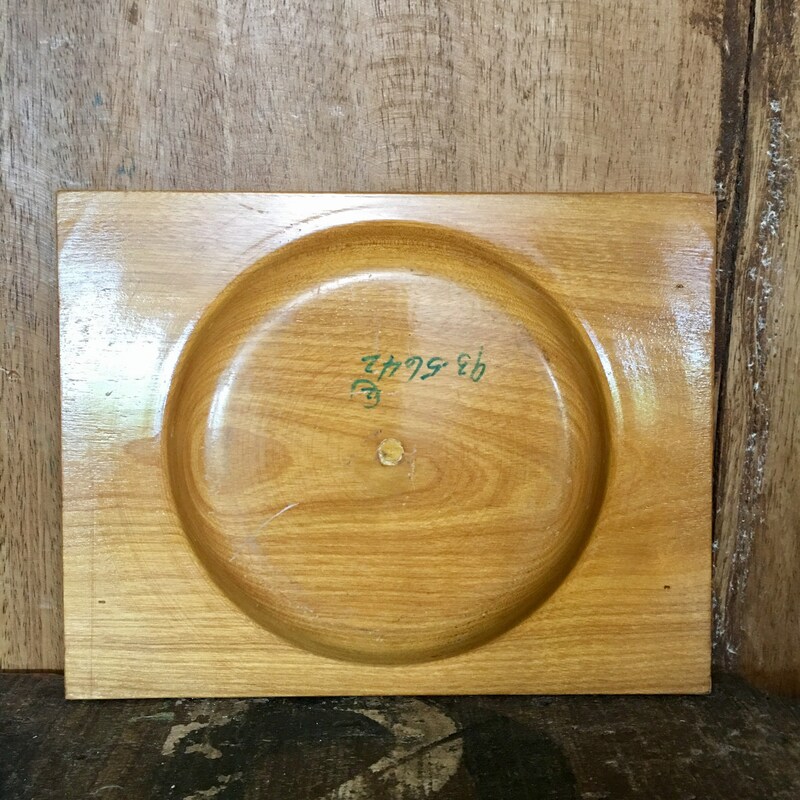 Numbered on the back but no other markings. 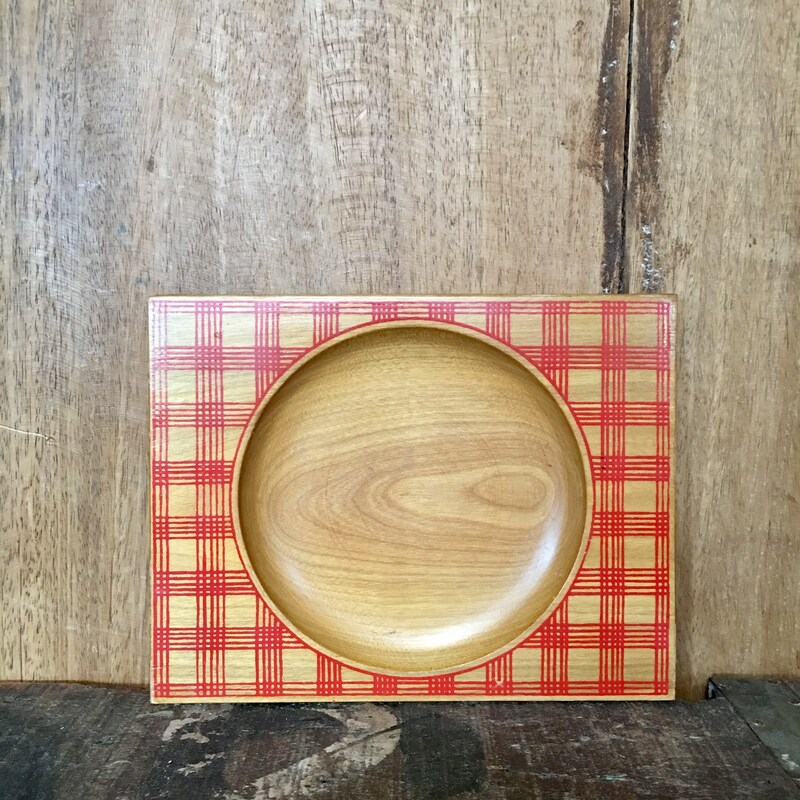 Would make a sweet catchall dish on a child's dresser.